This Corporation is organized exclusively for charitable, religious, and educational purposes under Section 501(c)(3) of the Internal Revenue Code of 1986 (the "Code") or corresponding section of any future federal tax code. The Corporation will receive and administer funds for the charitable support of the activities and programs of veterans' organizations duly qualified under Section 501(c)(19) of the Code or corresponding section of any future federal tax code, including but not limited to, direct benefit and support for the activities and programs of The American Legion, Department of Michigan, based on the founding four pillars established by The American Legion, Department of Michigan in 1919; to-with, Veterans Affairs & Rehabilitation, National Security, Americanism, and Children & Youth. 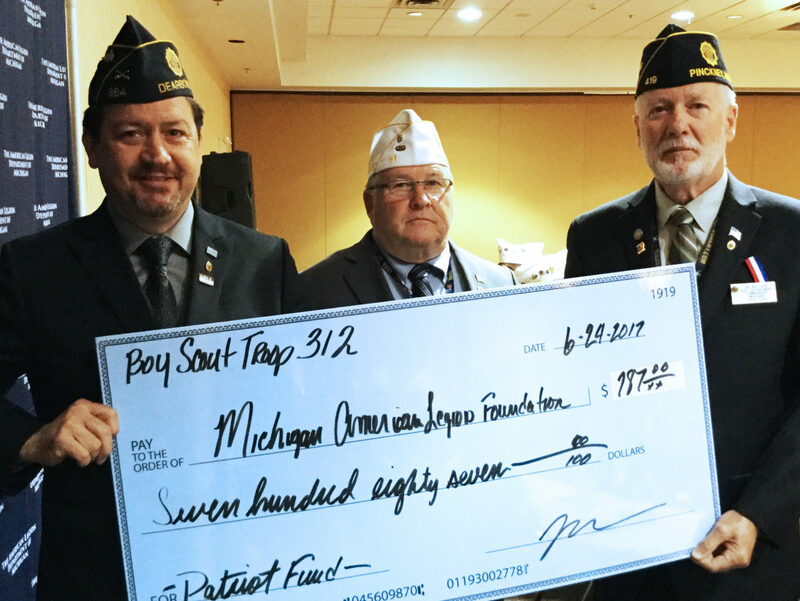 The Michigan American Legion Foundation was created in 2014. Many companies and organizations do not recognize a 501 (c) 19 corporation which is what the American Legion is incorporated under. The foundation gives more options to donors and the department to fund the many programs the Legion supports. U.S. Army Veteran, member of American Legion Post 390. U.S. Navy Veteran, member of American Legion Post 44. US Army veteran, American Legion Department of Michigan National Executive Committeeman, Past Department Commander and member of American Legion Post 300. U.S. Army Veteran, American Legion, Department of Michigan Past Department Commander, member of American Legion Post 419. US Army veteran, American Legion Department of Michigan Past Commander. U.S. Marine Veteran, American Legion, Department of Michigan Public Relations Director, member of American Legion Post 32. U.S. Marine Veteran, American Legion Department of Michigan Judge Advocate, member of American Legion Post 238. Support Michigan veterans, their families, and the youth of the community by donating today.